Kiyoshi Kurosawa’s most recent film is the buzzworthy alien invasion tale Before We Vanish. But the innovative Japanese director (Pulse, Bright Future) has an earlier movie that’s coming out first: 2016 French-language ghost story Daguerrotype. Jean (Tahar Rahim), a young Parisian with few skills and even fewer prospects, seems an unlikely candidate for assistant to famed photographer Stéphane (Olivier Gourmet), an obsessive perfectionist living in isolation since his wife’s unexpected death. Yet he soon finds himself in his new employer’s vast, decaying mansion, helping to create life-sized daguerrotypes so vivid they seem almost to contain some portion of their subjects’ souls. Their model is most often Stéphane’s daughter and muse, Marie (Constance Rousseau), and as she and Jean fall in love they realize they must hatch a plot to leave Stéphane’s haunted world forever. But is there something malevolent within the massive daguerrotypes that will prevent their escape? 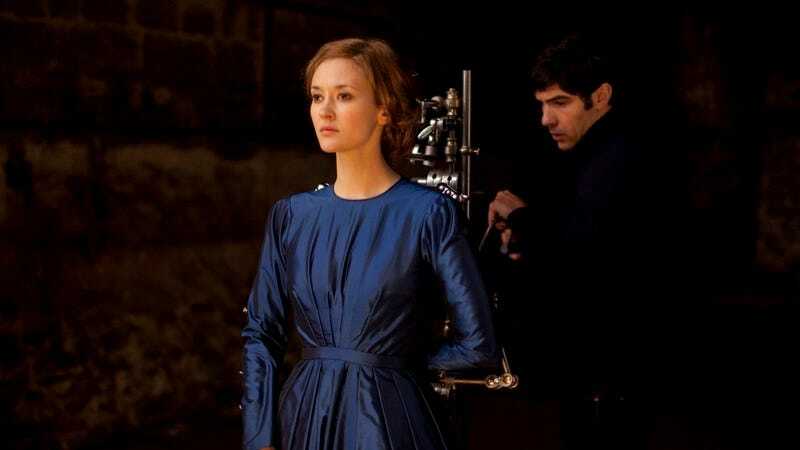 From acclaimed Japanese master Kiyoshi Kurosawa (Creepy, Pulse), comes Daguerrotype, a classic ghost story bent through the lens of one of the most singular horror visionaries at work today. Haunted-camera movies aren’t exactly a fresh idea—most recently, there was this past summer’s Polaroid—but Kurosawa is a master of tension and atmosphere, and while Daguerrotype doesn’t appear especially petrifying, it sure looks like one of his more gorgeously creepy efforts. It opens November 7 on all the major VOD platforms.